Sometimes you want to delete data permanently from your Mac, but the data seems too important for Mac that it doesn’t delete it permanently. There can be many reasons for the same, the item deleted could still be in use or locked or maybe the item has a special character. However, if you still want the item to be removed permanently, it can be done! You can force empty trash on Mac for good with the help of Terminal. Note: For older versions, you can force the items in the trash bin to delete permanently by using sudo Ek-rf ~/.Trash/*. Read Also: How To Delete Duplicate Images From Photos App on iPhone and Mac? Before using the terminal, you can use force empty Mac Trash bin with shortcuts. Go to Trash and select the item that you want to delete by Control-click and select Delete. You can hold down the Option key while you try emptying Trash. If none of the above methods works, we can always use Terminal to force the trash to empty on Mac. How to Force Empty Trash Bin on a Mac Using Terminal? On your desktop, look for a magnifying glass at the top right-hand side corner to bring up Spotlight. 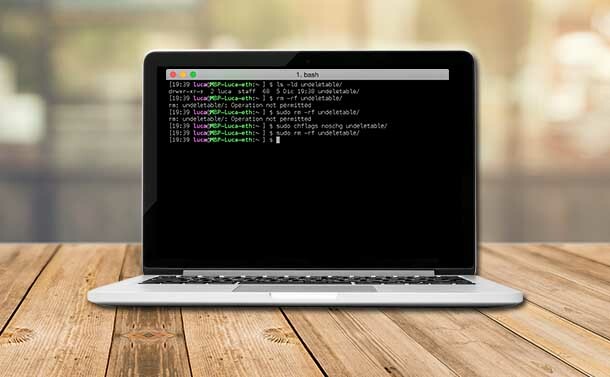 Type Terminal to launch Terminal on your Mac. While typing the command, make sure there should be space after R to make the command work. Now Control-click on Trash icon to launch it. Select all the files present in the Trash bin folder. Drag and drop the files into Terminal Window. To execute the command, enter your admin password. Hit enter again. Note: when you will enter the password into Terminal, you will not see the password being typed. Thus, you can force empty into the trash bin. The process might take a little bit more time if there are large files in Trash. Try it and let us know whether it worked for you or not, if the process is not executed like it is supposed to be, you might have forgotten to add space after R. Repeat the process by adding space after R. In this way you can force empty trash on Mac with ease.